Every time I talk to someone about the food in St. George, I hear one of three things: 1. There’s nothing good to eat in St. George; 2. 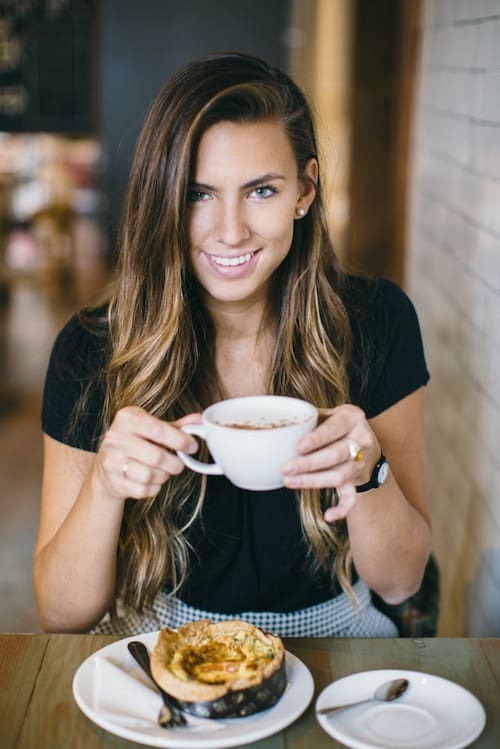 St. George only has chain restaurants; or 3. Every place there is a waste of money. 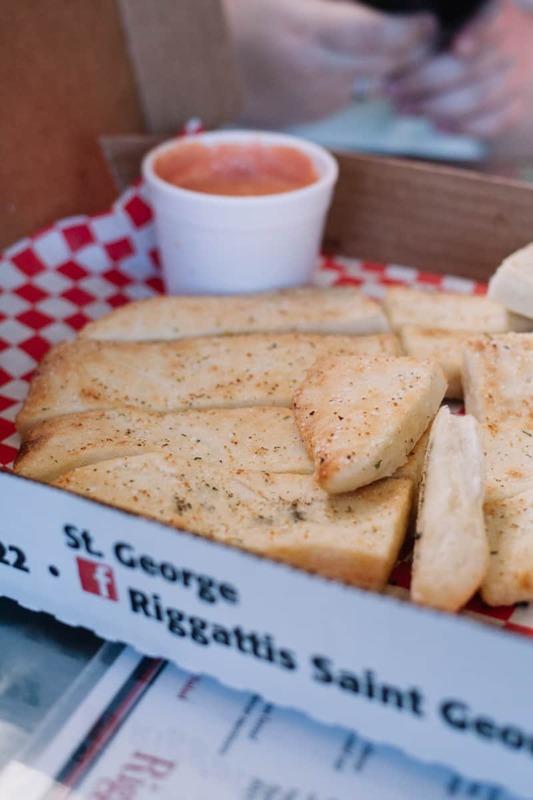 Today, I’m here to dispel all three of those myths, because I believe there are plenty of delicious, local restaurants in STG, and Rigatti’s is one of the best. I went to college at Southern Utah University in Cedar City (another hidden foodie gem in Utah) but I spent a lot of time in St. George when I was dating my now-husband, who lived down there. 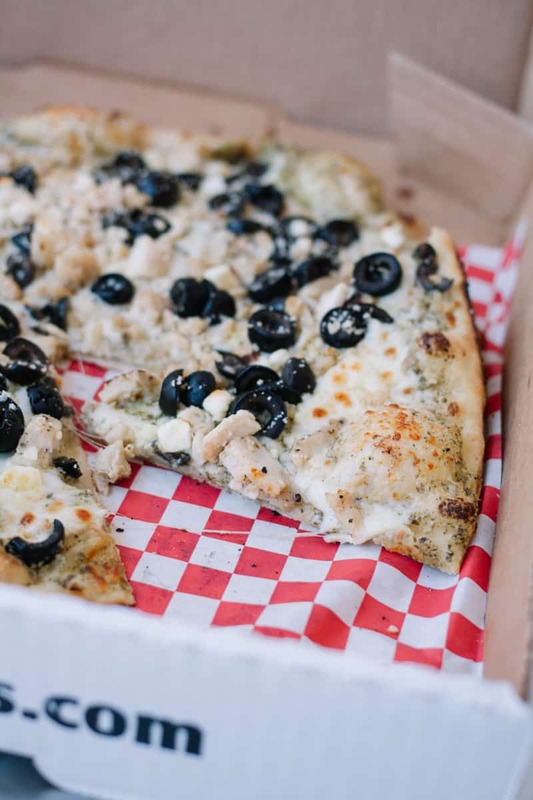 If you know me, you know I’m always looking for a good slice of pizza, so we scouted out Rigatti’s one weekend and it became an instant fave. Now, we go there every time we spend a weekend at his parents’ house and we’ve gotten everyone else we know hooked on it too! You can spend some time checking out their massive chalkboard menu, but we’ve tried several things and if you want my advice, there’s only one order to make here: The Rigatti pizza + as many breadsticks as you can reasonably eat. You can’t go wrong with this in your belly, trust me. First, the Rigatti pizza. 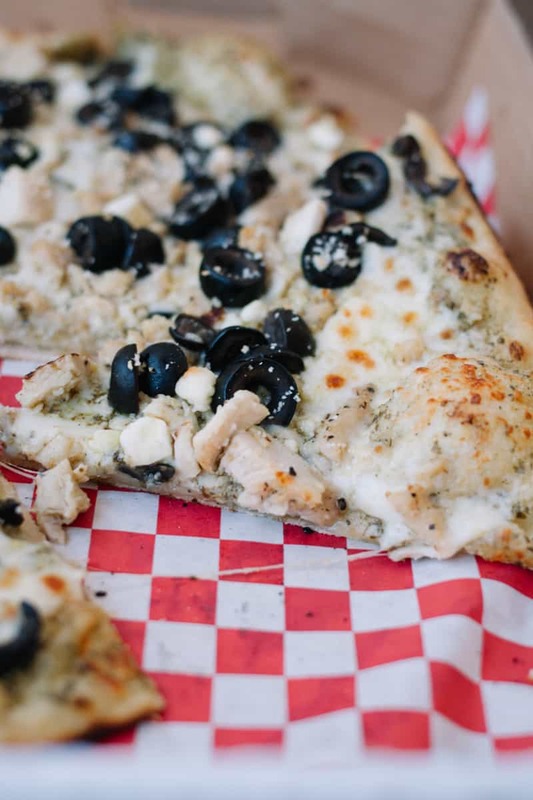 The dough here is incredible, and this pie is smothered in their homemade creamy pesto sauce, a four cheese blend, chicken, olives, and feta cheese. It’s hearty, filling, and practically melts in your mouth. 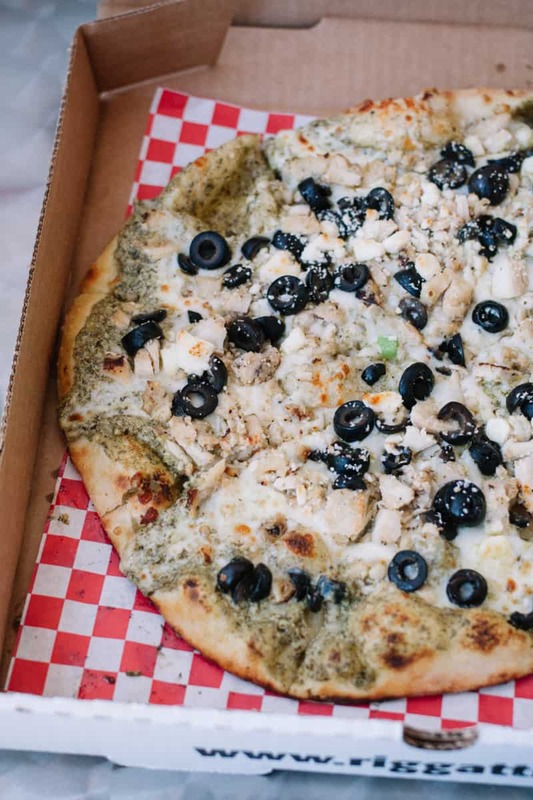 Their pesto sauce is divine and Colby and I constantly talk about how it’s one of our favorite pizzas anywhere. But take my word on this one – you don’t want to leave without an order of their Rigatti breadsticks. I know breadsticks may not seem like anything special, but these are to die for. 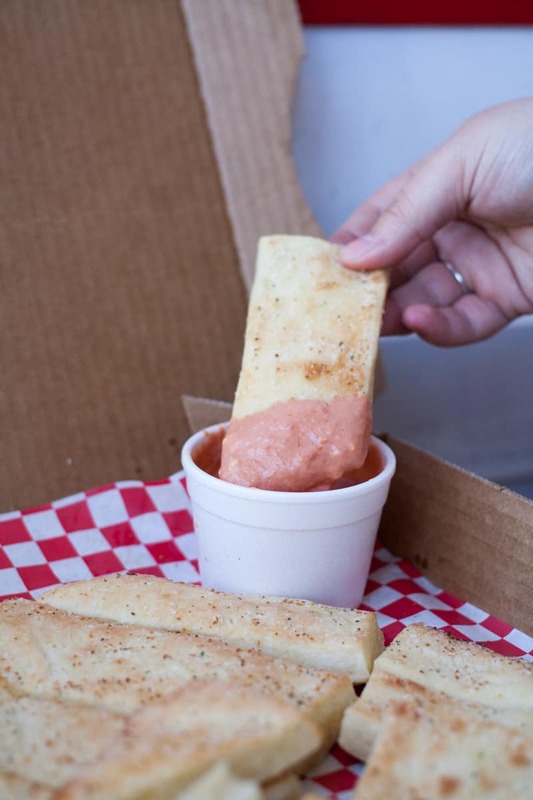 The breadsticks themselves are soft, salty, buttery delights, but the true star is their house dipping sauce. 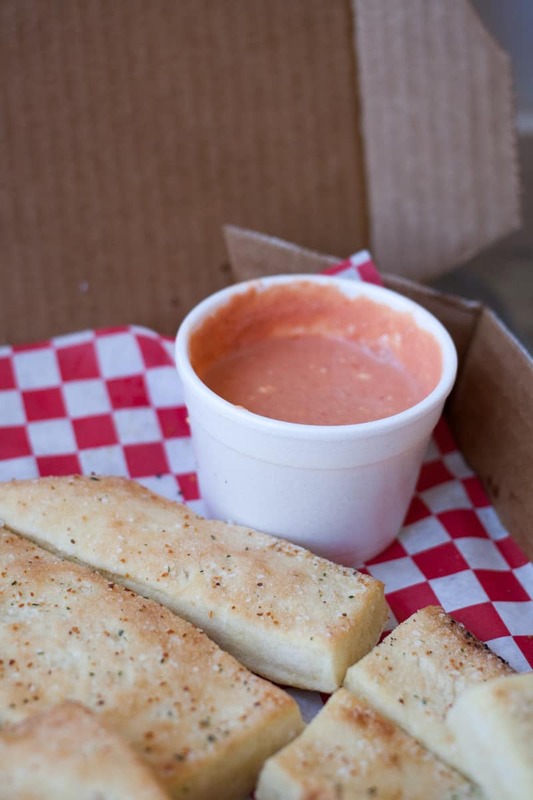 It’s described on their menu as a “cheesy marinara dipping sauce,” but we suspect they aren’t shy about adding cream and garlic to give it the perfect, velvety flavor. Seriously, just typing this out is making me wish I could teleport 300 miles south to grab some for myself. 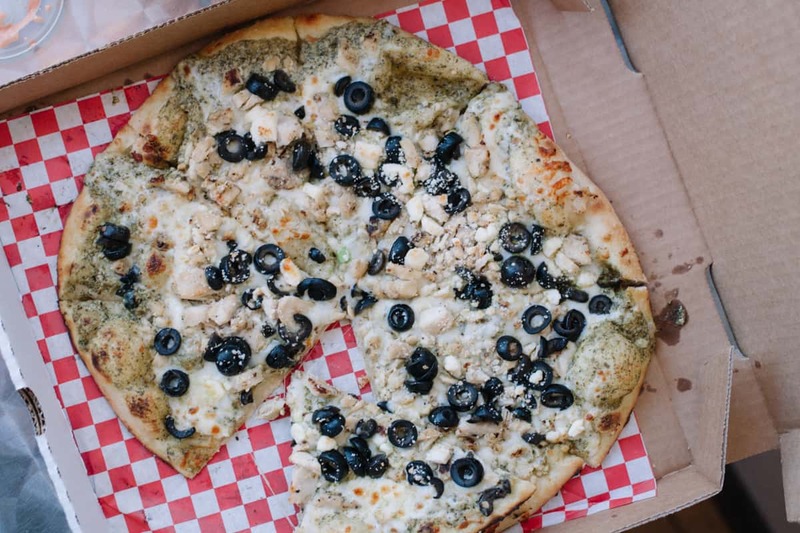 So next time you’re in St. George, don’t settle for a boring old restaurant that rhymes with shmizza shmactory. 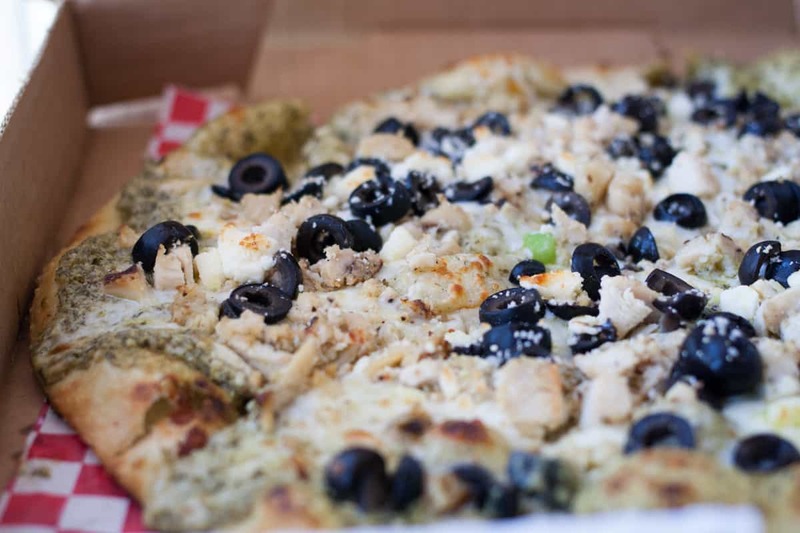 Try out Rigatti’s and let us know if you love it as much as we do! Did you like this post?? 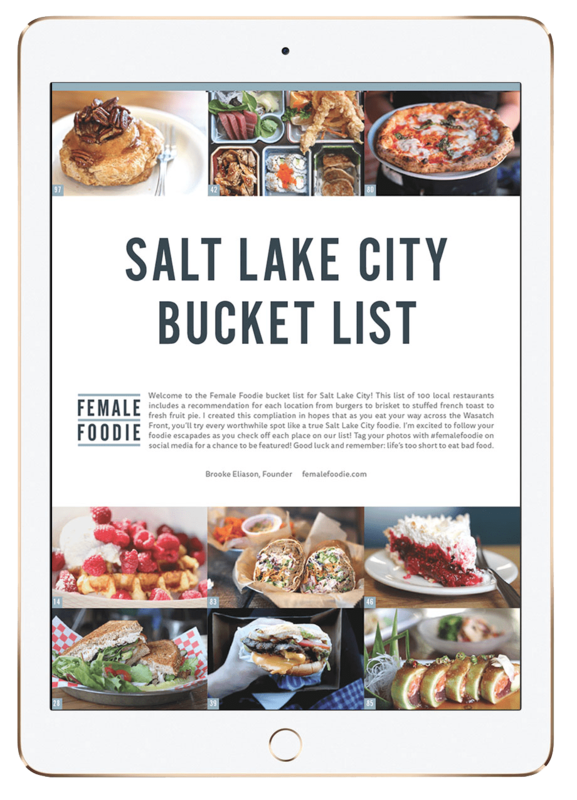 Make sure to check out our list of Top 10 Places to Eat in Salt Lake City, or download our FREE bucket list of 100 SLC Restaurants!